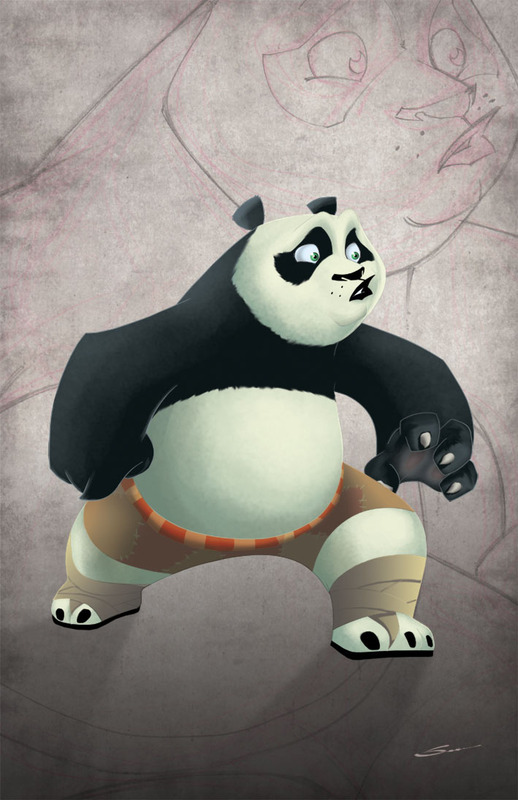 GERARDO SANDOVAL ART: KUNG FU PANDA! This is a piece for my upcoming sketchbook. Done in photoshop CS5. Gracias Raven, efectivamente, Po tiene muchas expresiones y ésta me encanta.